Funding for research around artificial intelligence, computing infrastructure, machine learning and autonomous systems has been given a higher priority, according to a statement issued by President Donald Trump. “We’re on the verge of new technological revolutions that could improve virtually every aspect of our lives, create vast new wealth for American workers and families, and open up bold, new frontiers in science, medicine and communication,” the White House said in a statement. Since 2015, federal funding for unclassified research and development into AI and related technologies has grown by more than 40 percent. President Trump’s budget request for fiscal year 2019 was the first in history to designate AI and related technologies as administration research and development priorities. 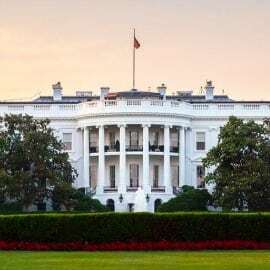 The White House has also issued official guidance to heads of executive departments and agencies, directing them to focus on emerging technologies, including machine learning and autonomous systems. Elsewhere, the Transportation Department updated its policy on automated vehicles to provide non-regulatory guidance that potentially allows self-driving cars on public roads. The FDA this spring approved the first-ever AI-based device for medical diagnostics to detect diabetic retinopathy. A presidential memo issued in October relaxed certain regulations on drones. Within the last year, the administration has established apprenticeships and created a task force around 21st century jobs as well as officially prioritized STEM education by committing $200 million in grant funds that were matched with $300 million of private industry funds. The administration is also pursuing collaborative efforts with the United Kingdom and France around research and development of AI.